Launched recently as part of OPI’s Holiday offerings, the limited edition Mariah Carey Holiday collection is as extensive as they come – 18 new shades in all! The selection includes 6 new Liquid Sand shades, and today I bring you a few of these beauties. I topped Warm Me Up with a French tip of Silent Stars Go By, a pale peach Liquid Sand textured polish with sparkly pieces of glitter. I fell in love with this shade from the bottle shots and cannot wait to wear it on its own! Talk about a sparkly neutral! How insanely beautiful does it look layered over MVIB? I read a couple of mixed reviews about Mariah Carey’s Holiday Collection, which I cannot understand as I find this large collection has something for everyone. Ranging from reds to glitters to neutrals, I feel like I need every single polish. And though at first I was unsure about wearing textured polishes, the Liquid Sands have grown on me and I absolutely love them now. 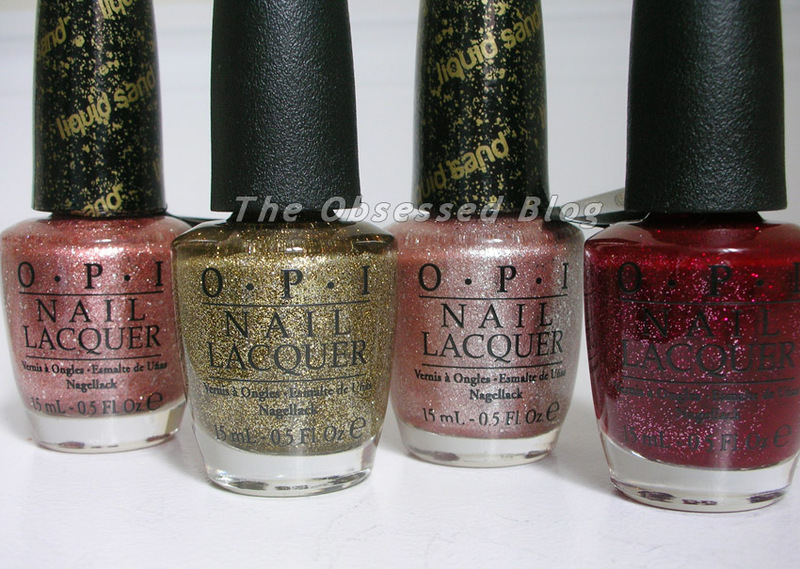 They have evolved since their first offering with Mariah Carey’s debut OPI collection, and have become even more fantastic: less gritty, finer texture with phenomenal colour selections. I’m off to find My Favourite Ornament, the champagne sister of All Sparkly and Gold… and I suggest you run to get your hands on this limited edition collection, too! Do you have any favourites yet? Launched last month just in advance of the Miss Universe competition, this very limited edition trio of shades includes the dusky purple I’m Feeling Sashy, the vampy blackened plum Miss You-niverse, and the textured matte platinum This Gown Needs a Crown with a satin finish. The three shades were inspired by the women of Miss Universe, embodying glamour and the ultimate prize of the coveted crown. Highly wearable and gorgeous, this mini-collection is… dare I say it? Perfection. How cute is the crown charm on this polish bottle? These shades are now available at Professional Salons and Spas. For more information, please call 800-341-9999 or visit www.opi.com. Follow OPI on Twitter @OPI_PRODUCTS and become a Facebook fan! So…? Do you agree – are they not perfection? Which one is your favourite, and do you have any of these yet? Included in my preview of the stunning new Dior collection for Holiday 2013, Golden Winter, was the new Diorific Jewel Manicure Duo, a three-dimensional-effect mani which was inspired by the magnificent adornments of Versailles. Dior reinvents its jewel nail lacquer with this duo that teams a gold base with crystal micro-pearls to sprinkle over nails. Sold in a gold box, the duo also includes a beautiful matching mini gold funnel to return sprinkled micro-pearls into the bottle. The beads look like little balls of glass in the gorgeous retro Diorific Vernis bottle, and the golden polish is simply beautiful – a perfect shade of neutral gold. 1. Apply a coat of polish, let dry. 2. 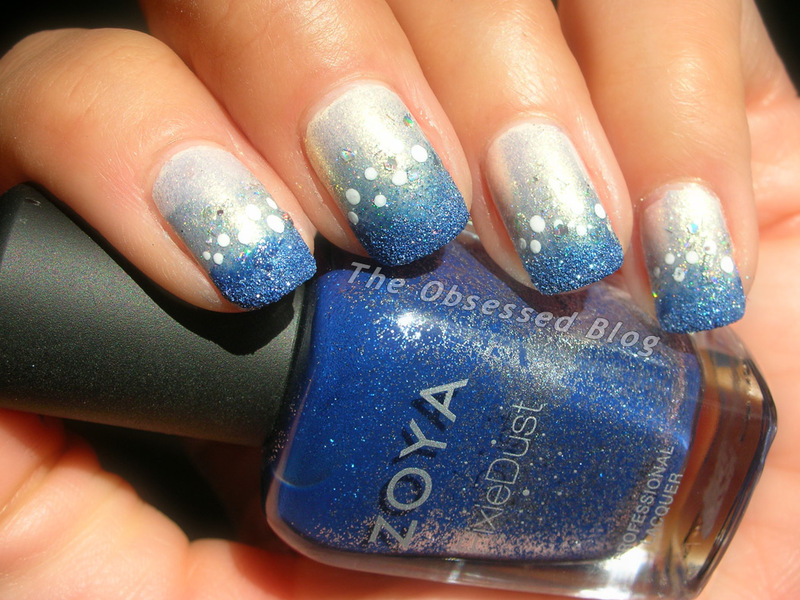 Working one nail at a time, apply a second coat of polish, and immediately sprinkle the pearls onto the nail. 3. 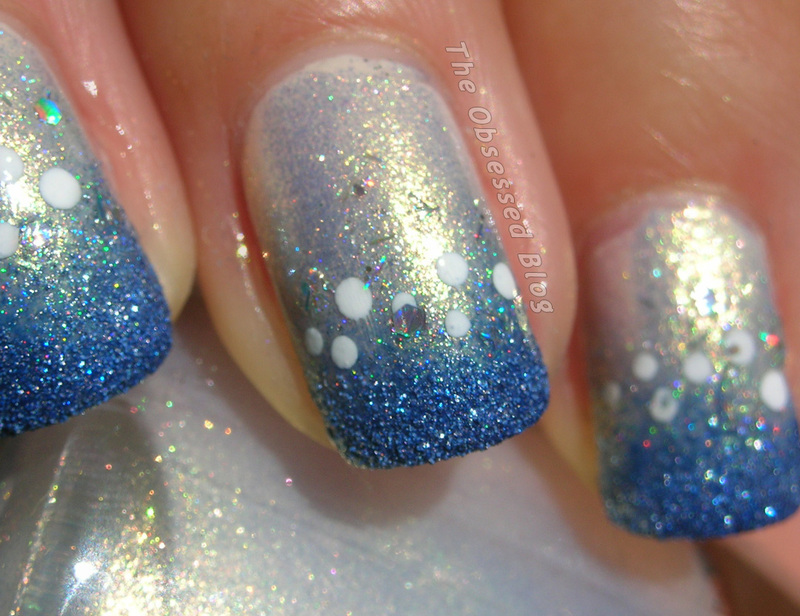 Press the pearls gently onto the nail to help them adhere. To show you both the beautiful gold base colour and the pearls, I applied an accent nail of “jewels” on my ring finger. The gold polish is simply beautiful, drying quickly to an almost lamé-looking finish. The metallic finish does allow for slight brush marks, but I found that applying two generous coats, from base to tip in a swift motion, limited these. What a gorgeous gold! The three-dimension manicure has become a big hit in the recent past, but I’ve never really had a desire to try it – maybe because I can be very discriminating with texture on nails or the fact that this would not last longer than an hour on me! Dior’s beautiful packaging and retro bottles take it from just nail art to gorgeous bottles of art, and the micro-pearls are sparkly and reflective, and I loved the easy application. If you’re a Dior connoisseur, you will want to get your hands on this limited edition duo! What do you think of Dior’s foray into 3D nail art? The Dior Golden Winter Holiday Colour Collection will be available in limited release at Dior counters in November, as well as online at thebay.com! For more information (but no shipping available to Canada), head to Dior.com! 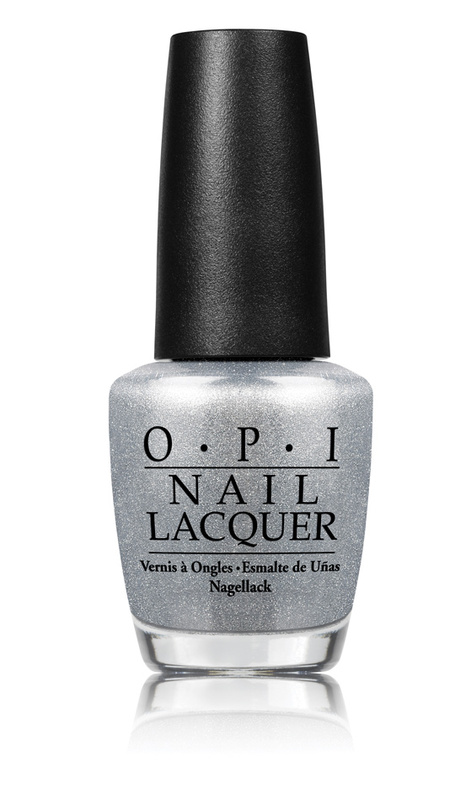 MISS UNIVERSE nail lacquers each feature OPI’s exclusive ProWide™ Brush for the ultimate in application. This Gown Needs a Crown features a satin finish and should be worn without top coat for best results. These shades will be available October 2013, at Professional Salons and Spas for $10.95 CAN suggested retail for each nail lacquer. 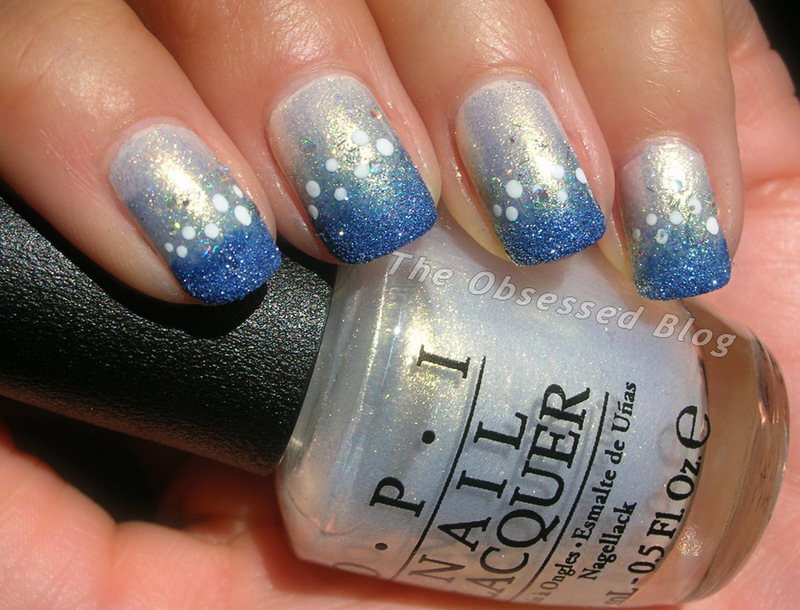 Prom Canada & Nicole by OPI Challenge! Prom Canada is a new magazine that will be launching in November 2013 to help Canadian girls plan for one of the most important days of their young lives. The pages will be filled with tons of tips on the latest fashion, beauty and hair trends. 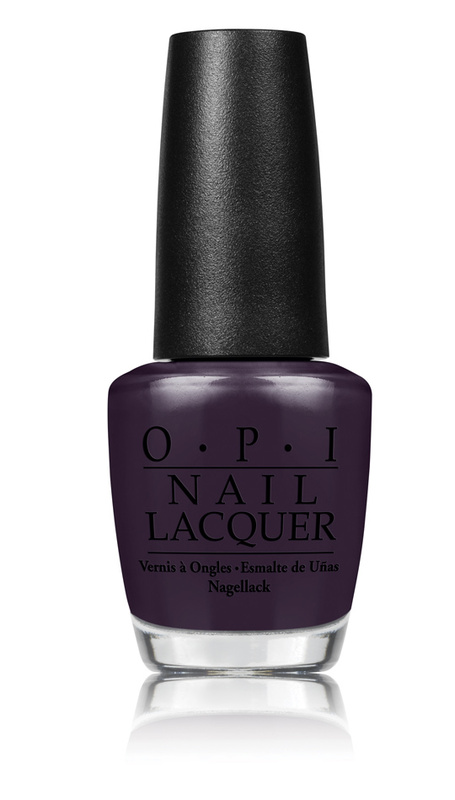 Nicole by OPI is the ultimate trend-setters’ nail lacquer. From edgy and experimental, to bold and beautiful, a Nicole girl is independent, carefree, and fashion forward. Are you ready to see my nail art entry? I used three Nicole by OPI shades to create this look: Something about Spring, Fabulous is my Middle Name and Candy is Dandy. Something about Spring is a beautiful hot pink creme while Fabulous is my Middle Name is a a clear polish filled with tiny bar glitter and gold shimmer – it’s crazy sparkly! And finally, Candy is Dandy is coral-leaning, warm pink Gumdrops polish with silver shimmer and larger hex glitter pieces which makes it really interesting and fun! It even shimmers with a silvery hue in certain light. Using Something about Spring as a base colour, I then taped off a quilted pattern on each nail and applied a gradient of Fabulous is my Middle Name and Candy is Dandy – a texture and glitter gradient! If you like the manicure, please head to the photo album on Prom Canada’s new Facebook page and “LIKE” my photo in order to vote for my entry! Don’t forget to check out Prom Canada’s Facebook page as well as Nicole by OPI’s page while you’re there! Today I have two of the limited edition Gumdrops from Nicole by OPI that were exclusive to Shoppers Drug Mart (in Canada)! Launched this summer, Gumdrops feature a sugar-like finish that dry matte but shimmer with tiny glitter particles. Add candy colours and Gumdrops are like little sugar candies on your nails. Nicole by OPI Gumdrops should always be worn without top coat to achieve the textured finish, but it’s always nice to see the sparkle come alive in a different way with top coat! Nicole by OPI Nail Lacquers and Nail Treatments contain no DBP, Toluene, or Formaldehyde. Nicole by OPI formulas are long-lasting, fast-drying, and salon-quality. In Canada, these shades are available for $10.99 each at Shoppers Drug Mart, Walmart Canada, Jean Coutu, Loblaw, and London Drug. Have you snagged either of these exclusives yet? Have you spotted them in the US?